Become the ultimate daddy by conquering the world with the best strategy games on PC. There are plenty of people who discredit a game as soon as they see it’s made in Unity, associating it with cheap, quickly-made games that are thrown onto Steam to make a quick buck. That’s rarely the case – Inside, Hollow Knight, and Hearthstone are all made in Unity, for starters. 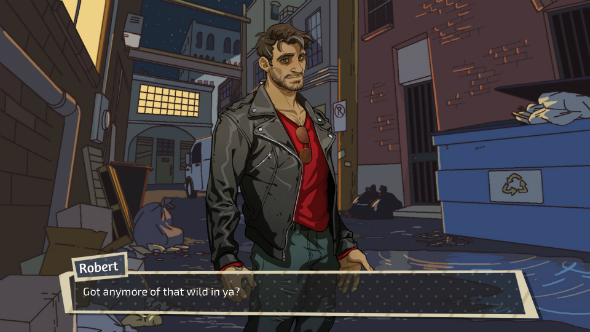 Here, with Dream Daddy’s graphics options, as well as the game itself of course, we see another reason to give Unity games a chance. Videogames need more jokes like this. Oh, and by the way, the game’s doing very well on Steam, with over 14,000 people playing it at the same time yesterday acording to Steam Charts. That’s some proper dad action. Anyway, this got way too serious. Go be a dad already. 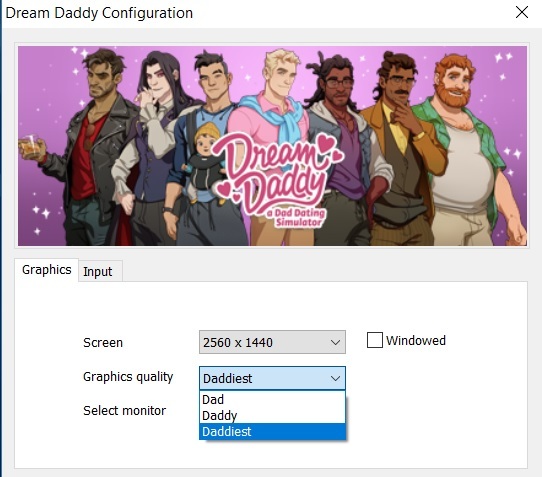 And make sure you pick the Daddiest graphics option. It’s out now on Steam.